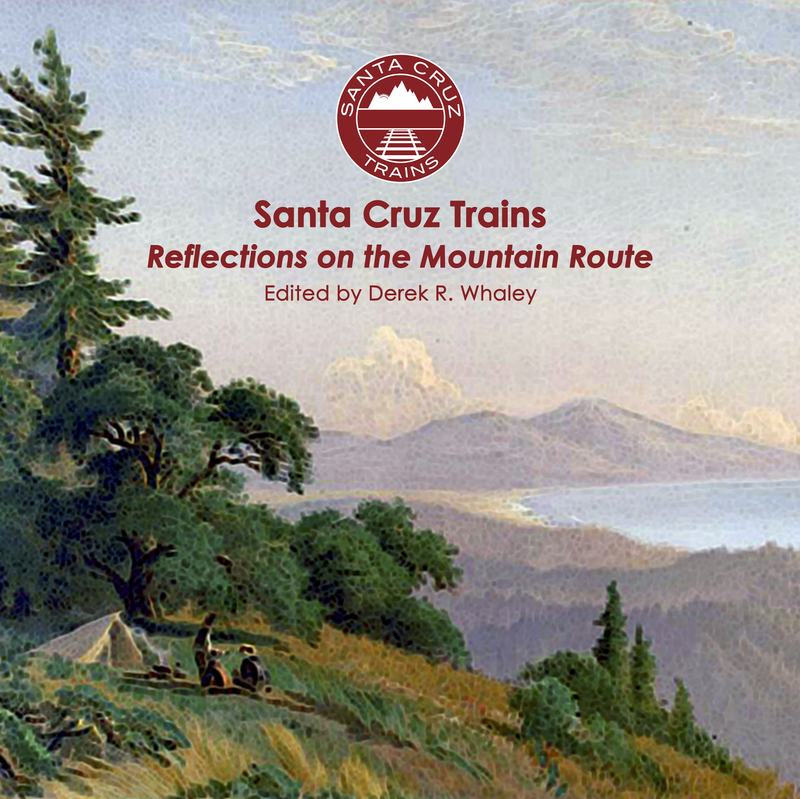 The Santa Cruz Railroad began life as the Santa Cruz & Watsonville Rail Road, founded in 1872 by Frederick August Hihn, one of the organizers of the San Lorenzo Valley Railroad a decade earlier. However, after long negotiations with the citizens of Watsonville, Hihn realized that the people were content with their relatively easy access to the Southern Pacific mainline in Pajaro and the plans were put on hold. Southern Pacific Railroad problems also halted the project, and the company eventually abandoned their plans to build to Santa Cruz via Pajaro. A year later, Hihn was at it again. Financed by some of the biggest names in the county—namely Hihn and Claus Spreckels—the Santa Cruz & Watsonville reformed as the Santa Cruz Rail Road which sought to connect the base of the Santa Cruz & Felton Railroad at the beach with the Southern Pacific Railroad at Pajaro via a narrow-gauge, privately funded, locally-owned company. Hihn began preparing early for the success of his railroad by buying up land in Aptos and Capitola, while Sprekels bought land southwest of Watsonville along the coast. Freight warehouses and tourist attractions began springing up all along the proposed route even before the train arrived. Hihn planned to bypass Watsonville early on after the failure of his earlier proposal as a punishment for the people of Watsonville for abandoning the dreams of the county as a whole. But Watsonville brought on a lawsuit against the Santa Cruz Rail Road, and Hihn changed his mind, deciding that the fight wasn't worth it. Hihn began the construction in parts, mostly because landowners wished to build the right-of-ways in certain places within their lands and some were more eager to start than others. The first tracks were lain in December 1873 and by May 1875, the tracks spanned from Aptos to the San Lorenzo River, though not across it. Soquel Creek and the San Lorenzo River both presented problems that were only resolved with money and time, though by May of 1876, the line had been completed. The only problem was that the SC&F RR did not connect to the SC RR. The SC&F went down Pacific Avenue via horse-drawn box cars while the SCRR terminated at the foot of Mission Hill. While the two tracks crossed and paralleled each other for a time, it wasn't until the Mission Hill Tunnel was completed at the end of 1877 that the lines were permanently connected. It is around this point in time that passenger service began to Old Felton Station. In 1880, the South Pacific Coast Railroad gained use rights to end their line at the Santa Cruz Main Beach beside the Railroad Wharf, which was their official end-of-track. In 1881, a bad storm damaged much of the Santa Cruz Rail Road line and poor financial conditions made it impossible for Hihn and the other investors to repair it. They sold the line to the Southern Pacific at a loss. 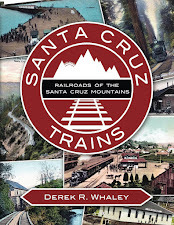 Within a few years, they broad-gauged the entire line and in 1887, the South Pacific Coast was also leased to the Southern Pacific, thereby linking the entire network of Santa Cruz railroads together. Rick Hamman, "140 Years of Railroading in Santa Cruz", part I (Santa Cruz Public Libraries, 1996). I understand from Stan Stevens that that the correct spelling for the Santa Cruz Railroad is "Rail Road", two words. Thank you for the comment. You are correct and I usually do separate them, at least when I formally refer to them. I have corrected the name above. Most railroads prior to 1875 were technically "Rail Road"s, but the two works became merged together suddenly pretty much everywhere. Unless one sees a stock certificate or some other founding document, it is often unclear whether a company was founded as a railroad or a rail road, and the two terms are, of course, interchangeable on a practical level.